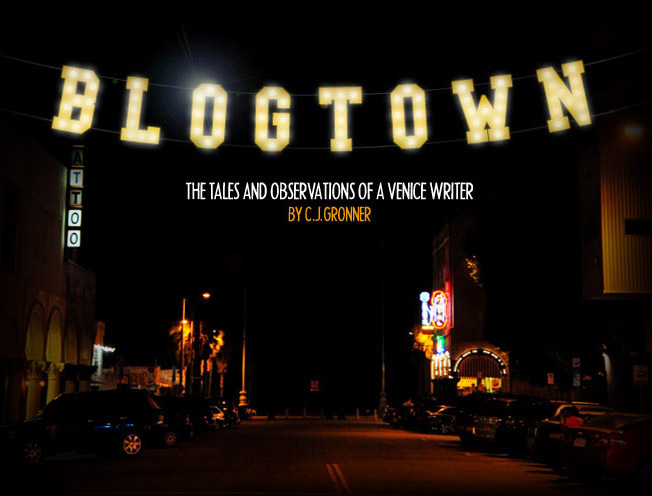 Blogtown: Venice Is Not For Sale - Only It Is. I was walking down the street this morning when I came upon this little tag on the sidewalk ... "Venice is not for sale". I have to figure it must be old ... because at this point in time, Venice is for sure for sale. Not the SPIRIT of Venice, of course, but Venice property has been so pimped out and sold, it's nearly unrecognizable if you haven't been here in a while. It's so disheartening. For the first time since I moved here over 20 years ago, I'm thinking I'm not as sure that this is the place for me anymore. I mean, I LOVE VENICE, as everyone knows ... but what I love so much seems to be in ever increasing danger of disappearing completely. The new people moving in don't get it at all. You can tell just by the things that they complain about that they have no idea what Venice was ever truly like. The fact that Adidas and Smashbox - massive chains that were never tolerated in this town - both just opened for business on Abbot Kinney. Thi should really tell you all you need to know. 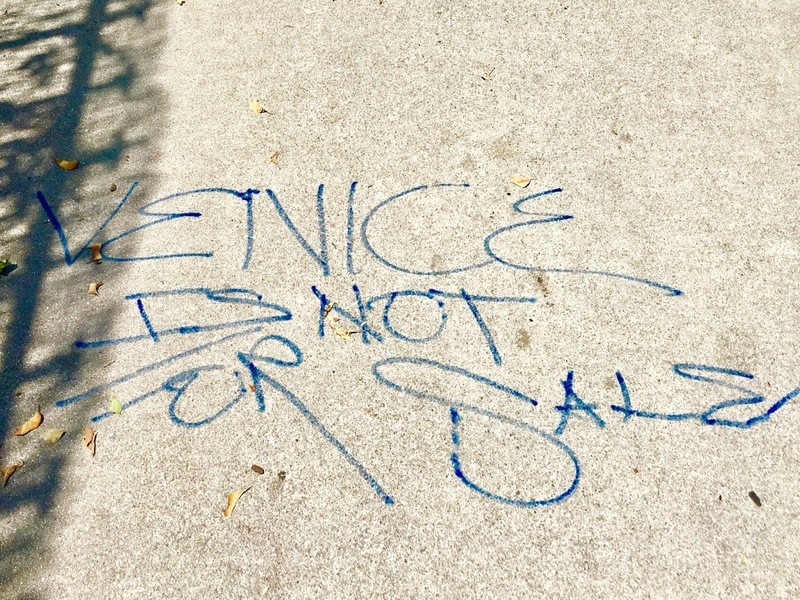 That Venice, like America itself, has been bought and sold to the highest bidders. It's disgusting, and sad, and I'm getting weary of the battle. I can't stand walking around listening to these entitled, self-centered jerks acting like they own the world, and thinking they can take over our little beach-side Community. It's heartbreaking. The future is wide open, and it is what we make it. I have no idea what's next, but I'm no longer as sure that whatever happens will be in Venice. I'd hate to be one to throw in the towel on a place in the world that is downright sacred to me, but the greed sickens me on the daily. It's true that those magical qualities that originally defined Venice cannot be bought and sold ... but you have to still be able to feel them to want to be here, and that's getting harder and harder every day. You're (pardon the pun) on the money.